Enhance your presentation with a modern twist on service and presentation. 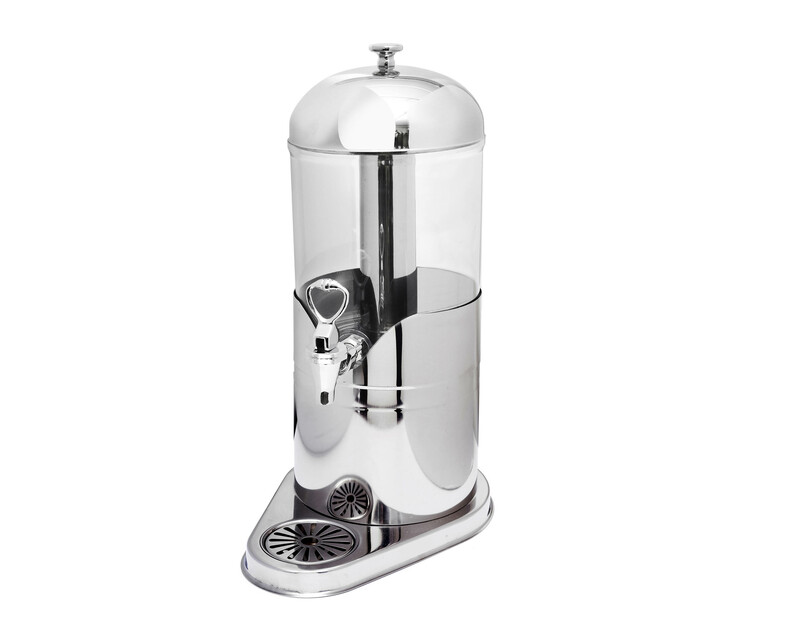 Serve your beverage juice or milk with Eastern’s decorative milk dispenser, designed to keep your beverage chilled for many hours with an insert of a stainless steel removable ice chamber. Stainless steel dome cover and stainless steel base with acrylic container. Quality drip less easy-flow spigot and removable container for easy refill. Beverage ID tag with chain clips on to the beverage juicer, Drip Catcher stainless steel tray slides underneath.